Oh to be in England now that winter’s there! There are times during the long cold New England winter when I wish I was back in England, the land of my birth. 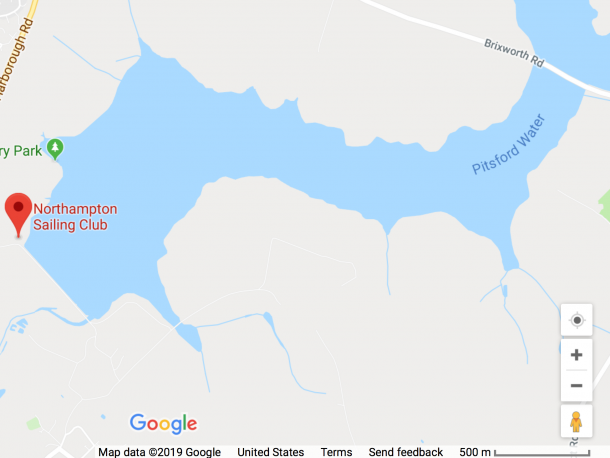 When I lived there it seemed as if every inland lake, reservoir, gravel pit, pond or puddle – no matter how small – had a sailing club. And all those clubs had very active sailing programs and hosted regattas. 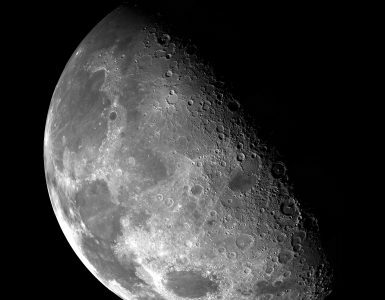 Even though I was just starting out in my sailing “career” I did sail in a number of those places in my venerable Laser. From what I read on the Interwebs, the dinghy sailing scene is much the same as it was in my time – if not even better. Last weekend it was the Steve Nicholson Trophy at Northampton Sailing Club. 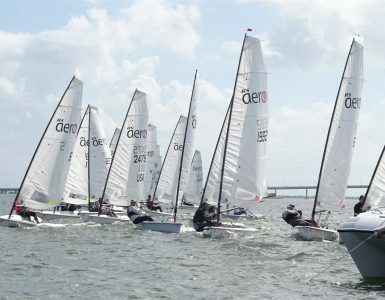 There were 35 single handers – Blazes and Solos and Phantoms and Supernovas and Lasers and D-Zeros and RS Aeros to name only a few – and 34 doublehanders – RS400s and RS Fevas and Merlin Rockets and Fireballs and a whole bunch more – all racing in the middle of the winter. And this wasn’t a particularly large event as English dinghy regattas in the winter go. The Bloody Mary pursuit race at Queen Mary Sailing Club near London a few weeks ago had 242 entries. 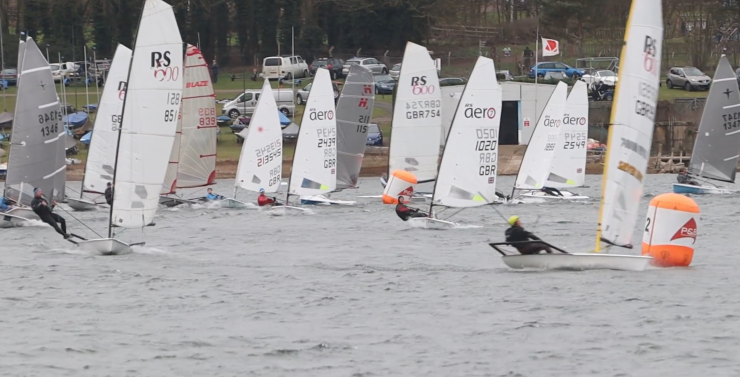 Check out this video of some mark roundings at the Steve Nicholson Trophy. 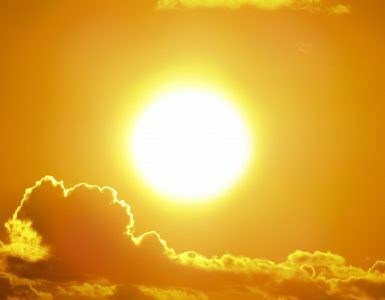 The single handers appear at about 07:17. I shouldn’t really be jealous of the Brits. Back here in the good old USA we do have RS Aero frostbiting this winter every Saturday at Bristol YC only a few miles from my home, although our fleet is somewhat smaller than the RS Aero entry at Northampton. And I am planning on doing three RS Aero regattas in Florida this winter, with the one this weekend already having over 20 Aeros registered. And as for summer sailing, my home club of Massapoag YC in Massachusetts is probably the place most like Northampton SC around here. Our annual regatta last September attracted 58 single handers and 16 doubleheaders – so actually a slightly bigger turnout overall than were at the Steve Nicholson Trophy. The main difference is that we don’t do handicap racing at our regattas like they did at Northampton; we do fleet races for the five classes- Flying Scot, Day Sailer, RS Aero, Sunfish and Laser. Look. The lakes at NSC and MYC are roughly similar sizes too! Talking of handicap racing, I always chuckle when I go to Dinghy Anarchy and see the thread titled, “Can we save Portsmouth handicap racing?” It’s mainly Americans having a gloomy discussion about the dismal state of dinghy handicap racing in the US. Portsmouth handicap racing is certainly alive and well in the UK. Oh yes, an expat reading about sailing in his home country on the Interwebs. It’s OK to be a little nostalgic isn’t it? Will it be Spring soon? 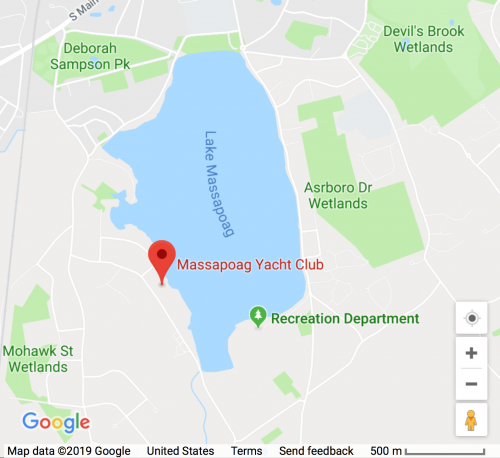 Do you realize it’s only 123 days until the annual Small Boat Regatta at Massapoag YC – the home of the first, the largest and the most fun RS Aero regattas in the north-eastern USA? Saturday June 1st. Mark your calendar now. Register here. Be there. We can put as many marks on the calendar as you like but a link to the club’s event page will probably get a few extra boats to the start line. Good point George. Have added a link to the regatta website. Charter RS Aeros are likely to be available for people who would like to try one out before buying. More information in this later. As a participant in three of the grand slams of UK winter sailing in my RS Aero (including the Steve Nicholson and Bloody Mary), I think they are fabulous – get up early, drive a couple of hours in a car pool, sail 1, 2 or 3 races depending on format, applaud the winner and come home, all in a day. The handicap racing is great fun for these style of events as it guarantees good numbers and challenging sailing. Nobody can wake up on the morning of one of these events expecting to win it, there’s just too many variables: course, conditions, consistency, clean air etc So the winners are varied and most often surprised – which adds to the fun. Of course there is no substitute for a startline full of RS Aeros (or any One Design) and the water to yourself, but we have plenty of opportunity to that on the National and International calendars. Happy Sailing! Thanks for that perspective Karl. Pleased to hear those events are as much fun as they look.